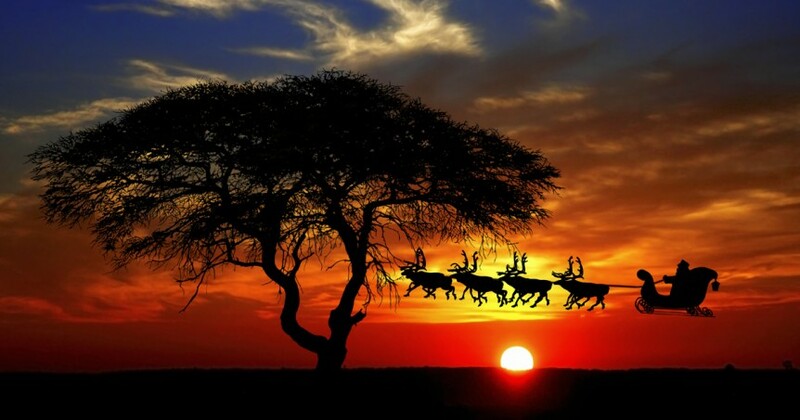 Charlie, our I Spot Santa video elf is an avid lover of animals and he had his camera pointed toward the horizon looking for a video of the African Elephant when to his surprise, Santa Claus flew by. Santa Claus never forgets anyone on earth, even if you walk on all fours. The Serengeti ecosystem is the oldest one on the globe, and has been around for many thousands of years. Very little has changed keeping this place a sight to see. The animals there include some of the best known African wildlife. Lions, crocodiles, giraffes, elephants, leopards, cheetahs, and many other exotic animals can be sighted in the park and even Santa’s reindeer!